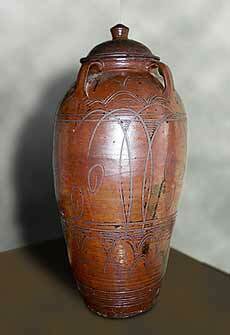 Storage jar by Cardew - 34" (863 mm) high. 1950s. This is still in use as a storage jar.